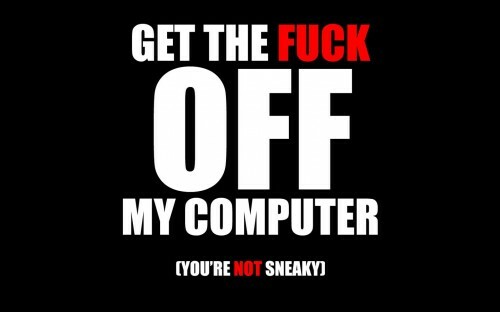 Would be funny as a wallpaper, but only if someone else happens to get on your computer frequently and if said someone is not your boss. They used the correct you’re!! 😀 😀 That’s so exciting! @Sticky: That’s the only purpose, as a wallpaper. Geez. More fun if you set it as a scheduled task whenever you go AFK so that the .jpg file opens whenever the computer wakes up from screensaver mode. @Staplegun: I’ve got this old grammar teacher. You two should get together. @Nemo Intermundorum: I’m thinking it’s a good login screen.